Nine students from Turning Point Dance will be travelling to Wellington, New Zealand to compete in the world renowned and prestigious Alana Haines Australasian Awards in April. Ranging from 11 years to 15 years of age, these dedicated students are busy preparing classical variations and contemporary solos at our Thebarton studios to perform at the awards and all students will need to be in tip top condition for a presentation of an onstage classical class for their division. The Alana Haines Awards boasts an internationally acclaimed jury, with winners competing for training scholarships, travel grants and $460,000 in prizes. Successful entrants are also eligible for entry into some of the worlds most esteemed International competitions including the Youth America Grand Prix Finals in New York, April 2020 and Asian Grand PrixFinalsin Hong Kong, August 2019. 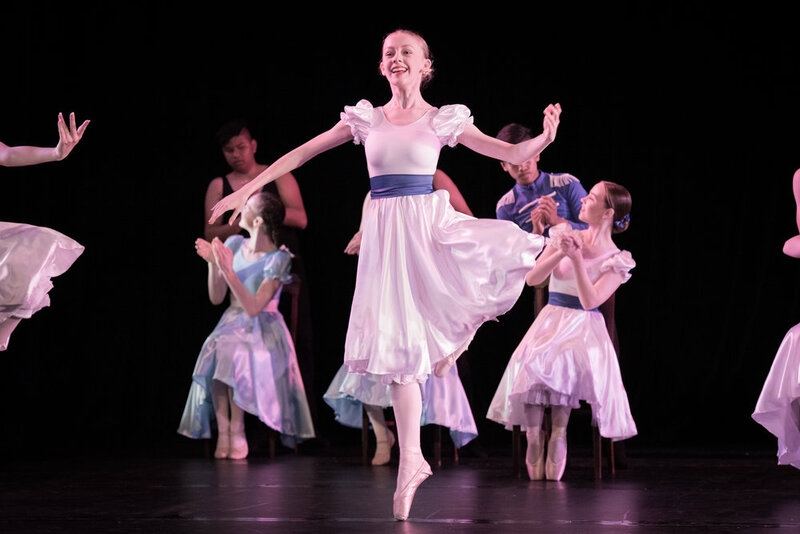 Chelsea Cooke (pictured) will be accompanied by eight of her peers, her teacher and principal of Turning Point, Michelle Hofmann along with several parent chaperones and is thrilled to be spending her Easter holidays dancing in beautiful Wellington. Chelsea Cooke in our 2018 Afternoon of Dance presentation of Graduation Ball. We know committing to a new, regular activity can be a big ask, especially for busy families. At Turning Point Dance, we want to make it simpler for you to choose a dance class for your child. Turning Point Tots is a fun and flexible dance experience for children aged 18 months to 4 years and an ideal way to gently introduce your child to the joys of music and movement. A variety of songs, rhymes and musical styles feature throughout this snappy class with the added fun of colourful props. Boys and girls are encouraged to wear their favourite costume or clothing that inspires them to twist, twirl and bounce! The quality in tuition your child will experience at a TPT class is everything you'd expect from a school renowned for offering The Real Ballet Experience. Now with reduced term and enrolment fees, and no other financial obligations, Turning Point Tots is an easy addition to the schedule and budget of any busy family. Call us on 0413 113 950 or contact us now to take a spin! HOP TO IT WITH ONE OF THESE TWIN OFFERS! With Term One bounding away, we’d like to make it easy for you to choose Turning Point Dance. Now we’ve gotten through those first few weeks, kids are settled at school and kindergarten, transport is all sorted, and there’s a bit of time and space to think about extra activities for them. Don’t wait until Term Two. Now is the perfect time to join and by choosing one of these great discounts, Turning Point takes out some of the guesswork. Have two children interested in joining? One of their weekly classes is free this term! Your child can’t decide which styles they want to try? Try two and get the second one free this term! Mention this blog post when you enquire to find out what classes we can offer your child or children, and take advantage of the savings for the rest of the term! But hurry, this offer ends next Tuesday February 26. Enrolment fees, age limits and other conditions do apply. Sorry, free trial classes cannot be extended to this offer. Call us on 0413 113 950 or Contact Us NOW! SPORTS VOUCHERS CAN NOW BE REDEEMED FOR FEES AND ENROLMENT ON ANY TURNING POINT DANCE CLASS! Sports Vouchers are no longer just for Sporting club memberships! Now all dance forms are included in this great initiative by the Government of South Australia, designed to get kids moving! If you have a primary school-aged child (R -7) who has always wanted to try dance, simply go to https://www.sportsvouchers.sa.gov.au and download the voucher. Every child is eligible for one, $100 voucher per calendar year. Vouchers can be used against term or enrolment fees and are valid with other TPD offers (read conditions of other offers carefully). Should you need help with finding the right class for you, don't hesitate to contact us here! Dance Schools: How to choose? 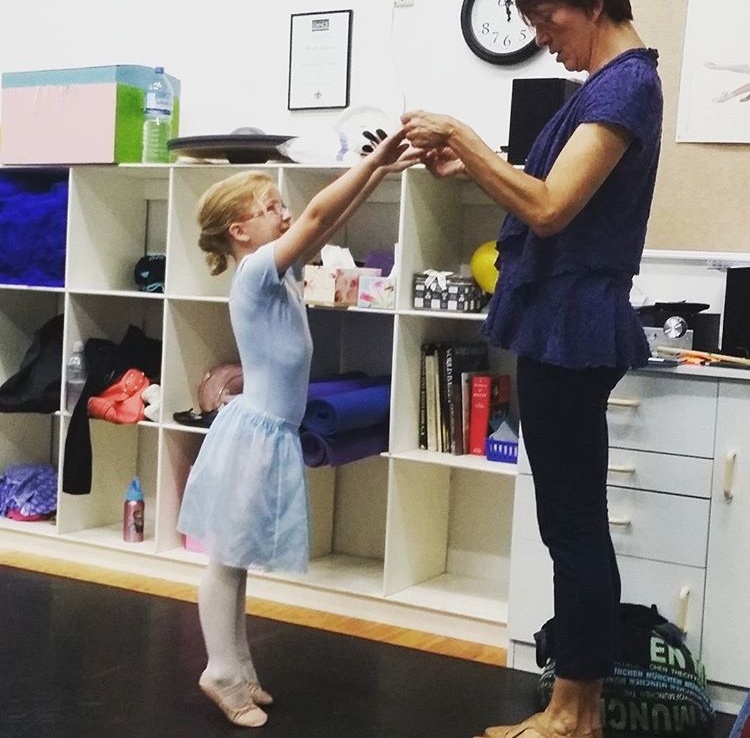 Whatever dance style you or your child chooses, from classical ballet to jazz, they will need to learn the basics about posture and alignment, musicality and rhythm, balance and strength. If it is their first taste of dance, you will find that they will learn all these fundamentals, usually just in a slightly different setting with music to suit the dance genre. A school that specialises in classical ballet, will often hire faculty based on their ability to deliver these fundamental requirements, rather than their track record in competition wins or ability to teach tricks and physical feats. Staff members selected for their commitment to sound technique, are more settled in their employ meaning staff turnover is lower, enabling students to forge meaningful bonds with their teachers. 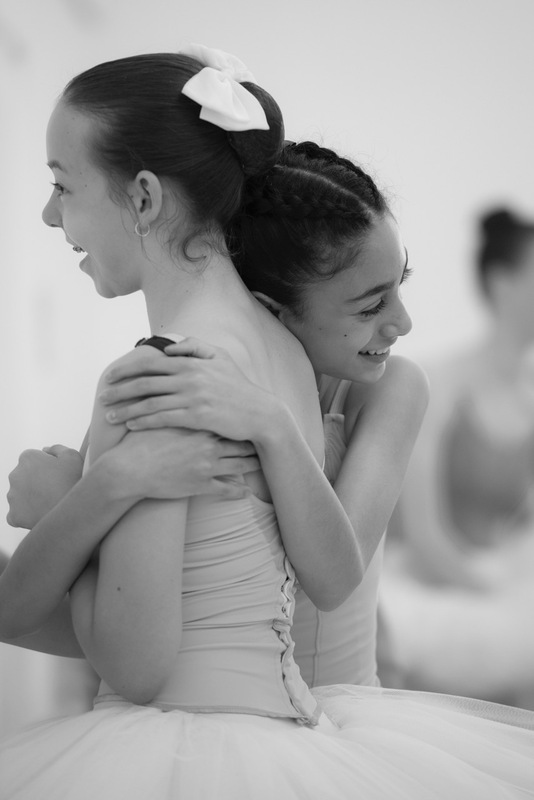 Unlike a talent school or agency, a ballet school may have a more holistic approach to the health of the dancer; focusing on body and mind, including social and self esteem considerations. Many good ballet schools will employ physiotherapists, pilates practitioners even podiatrists to provide services or classes on site. Ballet schools are usually aligned with at least one registered dance organisation such as the Royal Academy of Dancing or Commonwealth Society of Teachers of Dancing in order to teach and examine students in a particular syllabus. These organisations all require their members to adhere to Child Safe, Safe Dance and Safe Environment policies. When researching any dance school, check their website and other available information for evidence of this. A school that trains students in strenuous activities such as ballet will insist on facilities being safe, clean, scrupulously maintained and current. Ask the studio to what extent competitions and similar activities take precedence over say, examinations or school performances. All performance experiences are important for a student studying a performing art, however if eisteddfods and competitions are the major focus of a dance school and your child isn’t responsive to a competitive environment, it may do more harm than good. A better option may be a ballet school that gives students the option to enter competitions, but does not insist upon it. Finally, a word on school culture. Most students find happiness in a setting where they have chosen to express their passions alongside their friends, but there are ways to see if the studio is a healthy environment for your child. Do parents generally feel comfortable leaving their (older) child to take class without waiting or other support? Is the chatter among students happy, convivial and non-competitive? Healthy acknowledgment of physical differences and fun competition is normal, but may be harmful when paired with language that is not inclusive, that needlessly compares students physicality and abilities with one another, or encourages negativity to achieve goals. Do older students care for and mentor the younger ones? Any dance school that encourages senior students to assist, with staff supervision, the preparation and warm up of junior students is fostering a culture of mentorship and inspiration among everyone. At Turning Point Dance we offer classes for students of all ages and ambition. By maintaining the same quality for our recreational arm of the school as we offer to students of our extension program and audition school, we ensure that at any time, a student can either increase their commitment or continue to enjoy dancing without pressure with the same standard of tuition, safety and quality of facilities regardless of the style of dance they choose! A free trial class is offered for all of recreational classes and an audition week is available now at a discounted rate to any student with a longing for a career in dance interested in trialling our studio. Enquire now for your FREE trial class! Bird In Hand Wine Fundraiser! In order to ensure we are able to continue to provide high-quality teaching, facilities and experiences for our students at an affordable cost for families, Turning Point Dance undertakes a number of fundraising initiatives each year. This Spring we will be holding our first WINE FUNDRAISER with generous sponsorship from Bird in Hand Winery. This means that for a limited time you can support the school by purchasing great wines at great prices! Download your order form today at www.tpdance.com.au/winefundraiser.pdf and don’t forget to let your friends and colleagues know about this limited opportunity! For eager students Grade Two level and above (8 years and over) wanting to establish strong foundations in ballet and challenge themselves by taking exams. Class sizes are limited to 12 students for focused and aspiring young dancers. This audition-only pathway will prepare young bodies and minds for a bright future. In partnership with Thebarton Senior College, Turning Point Dance has created a completely unique course in South Australia which includes Vocational Full-time Dance training, academic studies years 10 -12 and Certificates 2 & 3 in Dance. This course will appeal to students with a variety of academic backgrounds and aspirations. We aim to produce students who have achieved excellence in dance training while looking forward to numerous options in employment and tertiary entry. Part-time classical training available for students from 11 - 13 years old one or two days per week. Enquire now for Semester Two entry! “Ballet fit” and “Barre” classes that draw influences from ballet among many other physical disciplines are in vogue right now but it’s nice to see some adults going in for the real ballet experience. As Ben Harvy of the Northern Messenger writes, the graceful art form of ballet has been a passion of Julie Sleep’s family since her eldest daughter was three. Julie had danced before having her first child, and when she had completed her family and returned to dance, both her girls wanted to join in. She is great inspiration for both her daughters Arya, who is in Kinderballet with fellow 3 - 5 year olds plus Junior Jazz and Tap, and Nadia who takes Grade 4 Ballet as well as Jazz, Tap, Contemporary and Limber. Julie is committed to improving her dance practice and also takes Limber and Pilates classes at our studio. Turning Point Dance offers classes for all ages and experiences, and we are pleased to be introducing adult tap classes in Term 2 while our beginners adult ballet and contemporary continue to flourish. For the little ones, our full timetable can be found here, and we are delighted to be offering our Fairies and Kinderballet classes now on a Friday morning! Enquire now about our Term 2 fee offers and fee discounts*! The Unexpected Benefits of Preschool Dance (read on for a Special Offer)! The advantages of dance for preschoolers go beyond just the physical. 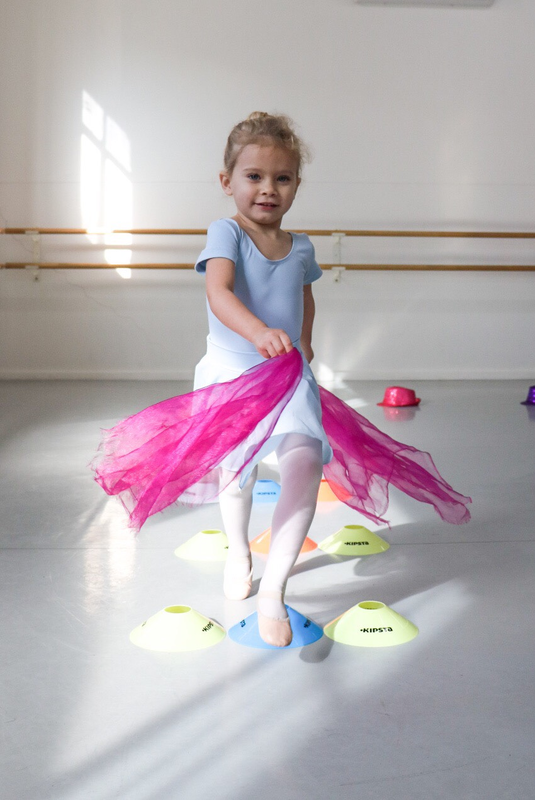 While a child who regularly attends dance class specifically designed for under fives will be rewarded with improved posture, balance, coordination and gross motor skills, some of the most important benefits for children can be seen in the way they learn to relate to others. At 2 years old, a child is able to start identifying body parts, are listening better than a year before, and can remember two things at a time which can form the basis for following simple instructions (“pick up the ball and bring it to me”). This is the perfect time for them to be engaging in an activity such as a Kinderballet (or preschool dance) class. While a child of this age is generally not yet able or willing to share or “take turns”, a social setting with other children that includes movement with engaging, age-appropriate music can encourage a child to more easily transition to that phase normally reached by 3 years old. They are likely to get used to listening to information from a teacher or parent more quickly and have awareness of and empathy for their fellow classmates, even if they are not ready to join in with other children’s activities. Other milestones that can be gently coaxed along with the assistance of a weekly dance class include an understanding of simple structures such as straight lines and circles, the concept of ‘stop’ and ‘start’ and being able to incorporate the imagination or ‘storytelling’ into play. By 3-4 years old, a child will start to work cooperatively with other children, and the dance class, with it’s clear yet flexible structure, is an ideal environment to guide a child into these social settings. Many parents have cited that, for the child not yet participating in formal child care or preschool settings, the introduction of dance class to the child’s routine seems a logical and natural decision. The child will start to more easily separate from their parent or care-giver, paving the way for them to be more interested in new found skills and to make other personal connections. While any dance class should follow a set routine to appropriately warm up and challenge the body and mind, a good teacher will recognise that all children develop differently and at their own pace. Look for smaller class sizes which enable the teacher to get to know each student, their boundaries, strengths and behaviours. An experienced teacher who is passionate about dance education with toddlers to preschool age children will know the benefits of repetition, will not cover too many concepts in one class, and will encourage children to do their best with non-competitive and inclusive language. While preschool dance will undoubtedly be teaching the child the fundamentals of dance in a fun and engaging manner, the aim at this age isn’t to teach technique or create stars but to encourage the natural skills and interests of the child and to prepare them for future challenges. Remember, the proof of success lies not in the demonstration class at the end of term or the yearly concert but in the way the child delights in telling their latest dance class adventures and their anticipation of the next one. Enquire now to book your free trial class to receive 25% of Term 2 fees. (Offer ends April 14. Mention this offer on our contact page). 50% OFF TERM TWO FEES! Why do these children dance at Turning Point? Whatever your child’s ambitions, at Turning Point Dance, we believe that all children have potential. See it celebrated and realised with dance tuition that focuses on both quality and fun. Leave your details on our contact page to get six classes for $60! Enrol for Term two and receive 50% off fees. Make sure you tell us where you saw the offer! Guest teachers Shelley Moore (contemporary and jazz), Janet Bridgman (Ballet) and Jenni Guest (Pilates) have all been secured for our Summer Intensive Workshop in January. Avoid disappoiment and take advantage of the early bird rates by booking in now! Class numbers are strictly limited, don't miss out! DANCE YOUR WAY TO SACE - AN UPDATE! Exciting things are afoot as we continue discussions with Thebarton Senior College. In addition to our proposed full time vocational training course with Tailored year 10, 11 and 12 studies for those who wish to complete their SACE with a dance focus we are also thrilled to announce our intention to offer a Certificate 2 in Dance (1 day per week) with the College. For interested students and parents, for 2018 and beyond, we are coordinating an information session here at the Dancers Lab with the Principal of the College, Eva Kannis-Torry and the Assistant Principal of curriculum Keri Fisher. These highly qualified educational professionals are working closely with us to tailor the curriculum for the programs and are as excited as we are to begin offering these options for students wishing to take their dance training to the next level without undermining their secondary education. There are endless options for those students keen on a career path in dance, as well as those students who want to keep soaring in their training but want to keep other options open for tertiary study. With Thebarton Senior College, anything is possible, and staff are prepared to help you with all your queries! Stay tuned for the date and time of this information session. This is part of the new direction of TPD and the Dancers Lab and we would like to see as many parents and students attend as possible, whether you are interested for 2017 and beyond or just curious about what the future holds for the school. Dance your way to SACE! We are thrilled to be in discussions with Thebarton Senior College to offer Full-time and Part-Time Vocational Training Programs here at the Dancers Lab starting in 2018! Students from year 10 to year 12 looking for career pathways in dance and dance education are able to combine a full-time dance program with their schooling, tailored to suit the needs of the individual student. 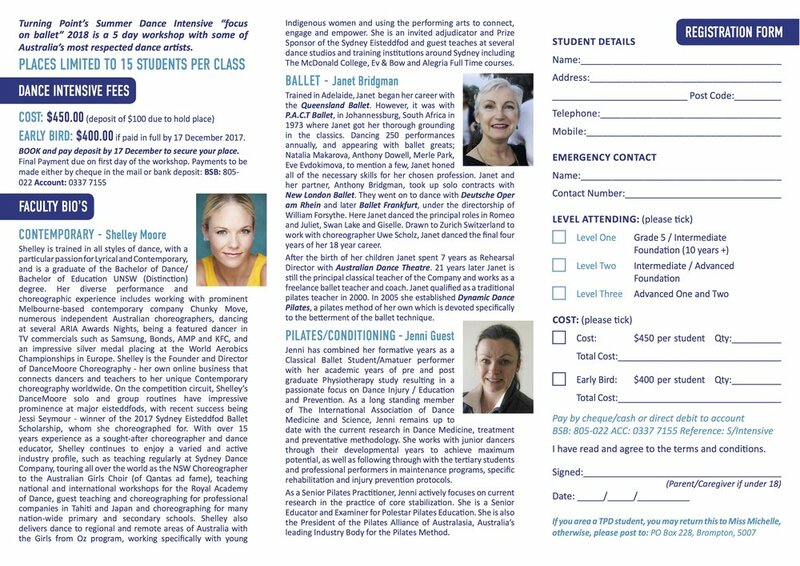 This is a program for dedicated dance students with an emphasis on Classical Ballet and Contemporary Dance that also provides appropriate and versatile curriculum options with relevant pathways for tertiary entry. Classes in Ballet, Contemporary, Body Conditioning, Pilates, Pas de deux, Flamenco and Music with electives in Musical Theatre, Jazz and Tap also available. NO MORE LOGISTICAL HEADACHES! All students' dance practice and secondary education needs are taken care of with us. Thebarton Senior College will conduct an Information night in Term 3 for prospective students and parents. Please register your interest NOW (no obligation) so we can formalise this date ASAP. Presenting our first School Holiday Program at our Thebarton studios! A fun filled kids program in creative movement, Jazz, Singing and Drama has been designed for your child to express their inner star! A variety of enrolment options are available over this three day workshop and children who complete all three days can present an informal showing to family on the final day. The program runs on April 26, 27 and 29 and enrolments are open to children aged 5 - 12yrs. Costs are varied based on full or partial enrolments. Enquire now!